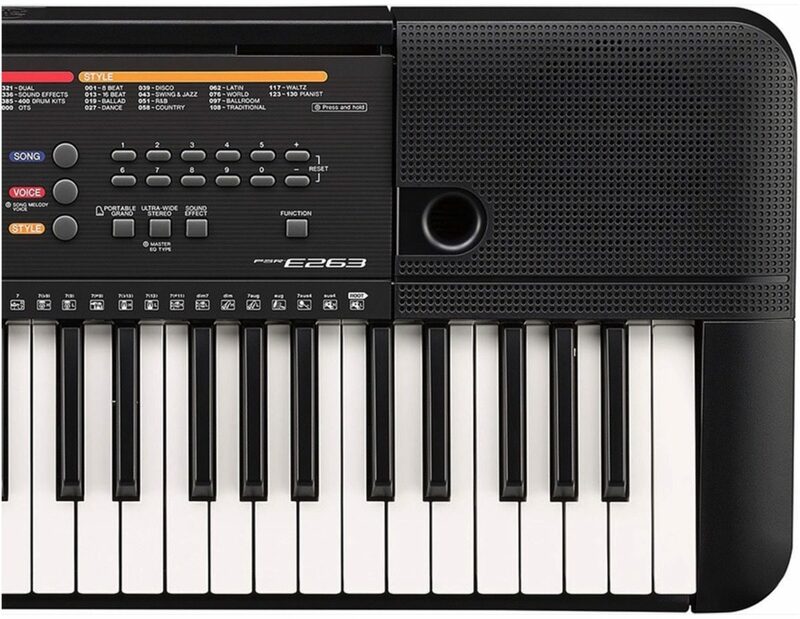 - 61 full-sized keys are great for learning and developing keyboard playing technique. - 32-note polyphony allows for the performance of beginner to advanced level pieces, allowing for sustained notes to ring through without being cut off. - Duo mode splits the keyboard into two halves, each with their own "middle C" for practicing with a partner. - The Aux Line Input allows you to connect any music device with a headphone output, such as an MP3 player, a computer, a mixer or even another instrument, and hear it through the internal speakers. - The Portable Grand button and instantly resets the keyboard to the grand piano Voice. 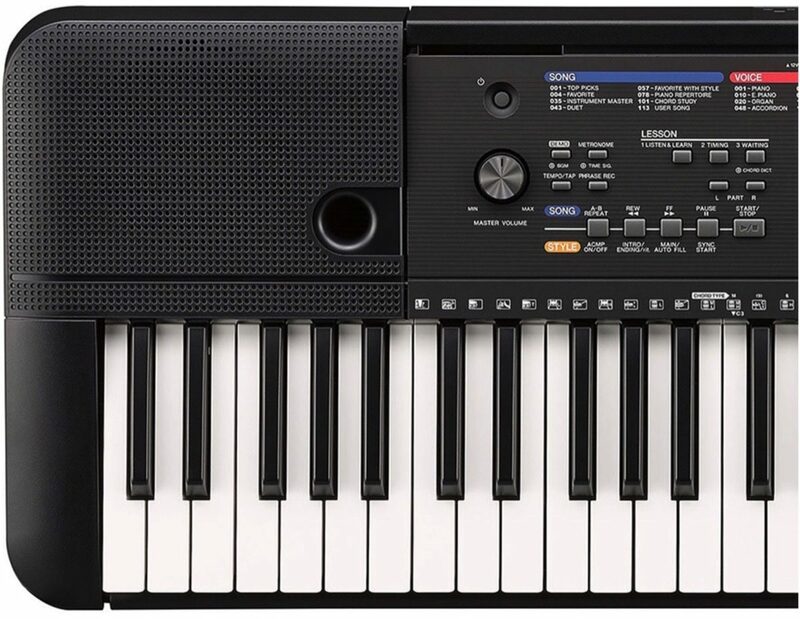 The Yamaha SKB2 contains everything you need to make using your Yamaha portable keyboard just that much more enjoyable. Every box contains a power adaptor, a foot switch, headphones, and digital owner's manuals and information on other Yamaha products. Plus, you also receive a two-year extended warranty and over $100 of rebate coupons on great Yamaha instruments and accessories. 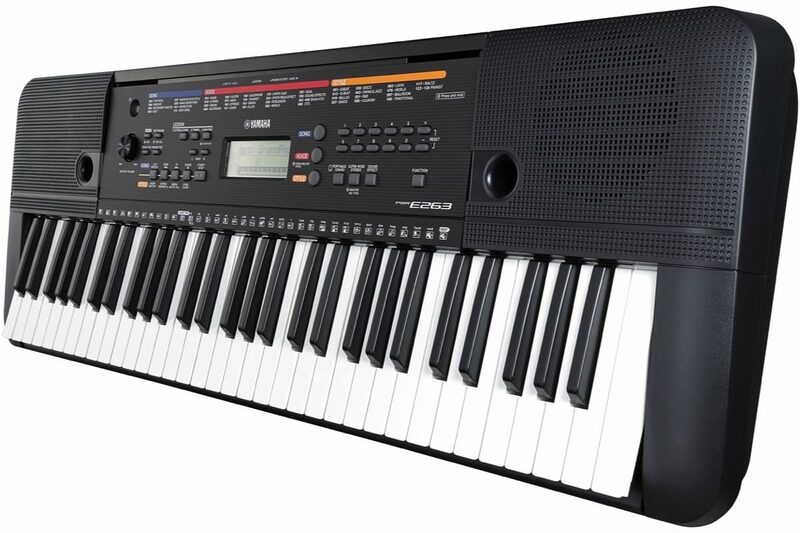 The Yamaha SKB2 works with Yamaha PSR-E223, PSR-E323, PSR-E343, PSR-E413, EZ-200, EZAG and DD-45.